Explore Apex Windows reviews by installers and consumers who can provide some insight into this window product, their pricing and how it compares to other similarly priced models. I am in the process of replacing some of the windows in my home and had the Apex salesman here to give me a quote. They can in reasonably priced, in my opinion, at $628 per window and then an additional $80 for grids and an extra $40 to chance the frame color. I am not that clued up on windows, so I tried to get as much information as possible about the windows I was quoted on. Apparently they are double hung with triple panes and an argon fill. The salesman also told me they are ClimaTech TG2, triple A rated with an R-7. Finally they come with an intraspace system and solar band 60 which is coated on two of the panes. From what I understood from the meeting Alside will do the installation, but the windows are Apex? Now I am really confused as to which company is the manufacturer and if this is a good choice to go with. My recommendation to all my clients is to take their time and do their homework on all the windows available in their area. The salesman you had at your property wanted to make a sale, but it’s essential you take a look at everything else these windows have to offer to determine if they meet your requirements in term of performance and visual appeal. A good way to make a decision is to look at your return on investment in the long run, especially when purchasing energy efficient windows. Take a look at the double glazed windows with a U value of .29 and compare those to the triple pane with the U value of .25, which one is the better deal in the long run? In response to your question on whether you are dealing with an Apex or Alside window, Alside manufactures the Apex brand. 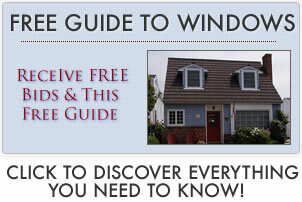 See all of our Alside windows reviews. See additional replacement window costs. I could really do with some advice on which is the better choice for my home in Minnesota. I have done a lot of shopping around and have three quotes that really appeal to me, but now I am torn on which one to choose. I’ve spent some time looking at the Andersen Renewal windows with a double pane. They did try and talk me out of vinyl, stating that many installers that install vinyl go out of business and I could be left struggling to get them to honor my warranty. The Renewals also have a u factor of .28. Then I looked at the Apex 8000, which I believed is manufactured by Alside. These are the triple pane windows with low e-glass and an R Value of 7. I believe they also have a U Factor of .23. My concern is that they are single strength glass and I am not sure how important this is when making my decision. Finally I have been looking at the Simonton 6500’s. These come with the double strength glass in a triple pane and a U Factor of .2. I am not the biggest fan of Alside or Apex, to be honest. Apex windows are nothing to get excited about, while Alside seem to be pushing their business towards an exclusive market. The problem is that the windows they offer cannot compete with other windows in that range. I had a look over the Alside website recently and was amazed to find that the Signature windows aren’t even listed there. I believe the Signature windows are Sheffields with some extra frills and fuss to make them a higher end market with triple pane.